Covers all petrol models from 1978 to 1984 with 1290 CC 1472 CC 1580 CC and 1905 CC engines. pton. ISBN 1850100926. In good condition. 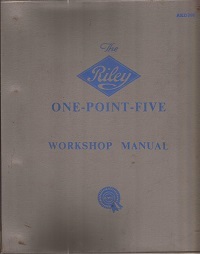 Part number AKD 760 issued by Riley Motors in 1957. 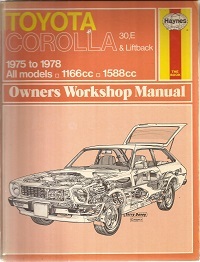 The manual covers engine type BP15HR and has 16 sections. 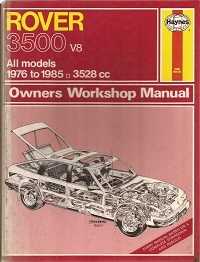 A genuine manual in good condition with some marks. 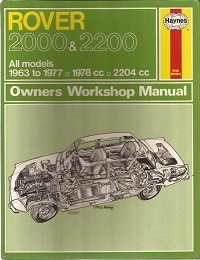 Covers all models from 1963 to 1978 with 1978 CC and 2204 CC engines iboth manual and automatic. ISBN 085696610X. In good condition. 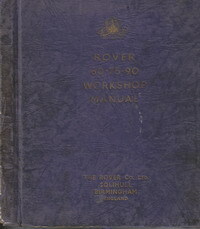 A genuine Rootes workshop manual publication No. W.S.M. 133. Part No. 6601138 issued in 1964. Covers Series 1 2 and 3. In great condition with minor wear to the covers. 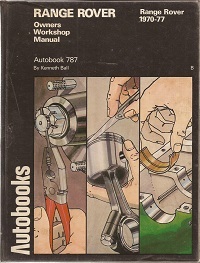 An Autobooks manual No. 787 by Kenneth Ball for vehicles produced between 1970 and 1977. 152 pages with 12 chapters. In good order with some marks. ISBN 0851477453. 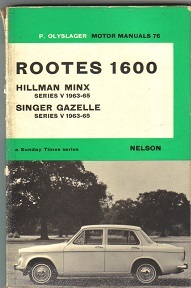 This manual covers cars from the Rootes Group including Hillman Minx Series V and Singer Gazelle Series V from 1963 to 1965. Inside is in great condition with some wear to the spine. Covers all models from 1977 to 1985 with 1994 CC 2350 CC and 2597 CC engines. In very good condition. ISBN 1850101930. 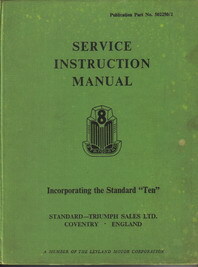 An original service instruction manual for the Standard 8 and Standard 10. Publication Part No. 502250/2. In very good condition. 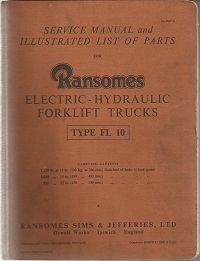 Publication 16027 G is a combined service manual and parts list for the Ransomes Type FL 10 Forklift truck. The book has 144 pages and is in fantastic condition. Publication No. TP/166/A. Dated 1954. Covers the 60 75 & 90 models. Hard covers with some spine damage but still tight and in very good condition inside. 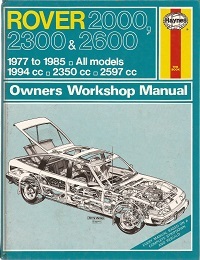 Covers cars from 1976 to 1985 with the 3528 CC V8 engine. In good condition with fading to the spine. 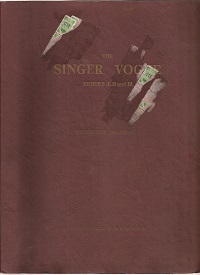 ISBN 1850101949. 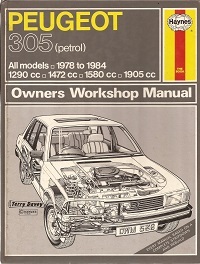 Haynes manual for the Corolla E and 30 Saloon Coupe Estate and Liftback with 1166 CC and 1588 CC engines. In good condition. ISBN 0856963615.